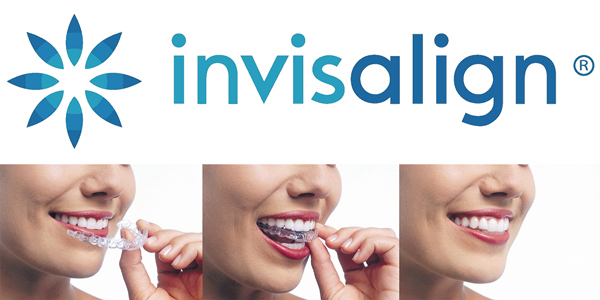 Invisalign: How Does Invisalign Work? Many people want straighter teeth. They want it to improve their appearance as well as enhance their confidence. Regardless of the reason, straighter teeth have the potential to help individuals in many ways. Though people want straighter teeth, they are apprehensive about the methods required to achieve the perfect smile. They don’t want to go through the agonizing procedure of inserting metal wires and brackets in their mouth, never mind the years of having them on. If that is a concern for you, Invisalign is a beneficial alternative. It foregoes the use of metal wiring, and instead, uses clear removable aligners. It allows individuals to achieve the look they desire, without compromising their appearance or habits. Invisalign is a corrective procedure that involves using clear aligners or trays to straighten teeth. These aligners are FDA-approved and use patented thermoplastic material to correct the positioning of teeth. The advantage of using these aligners is that they are custom-made to fit the mouth of the wearer. Before you get your Invisalign trays, you need to find a dentist that offers them, attend a consultation, and go over your treatment plan. Then you will be fitted for your first trays. A consultation is required by an approved dentist to ensure that you are eligible for Invisalign. During this meeting, you can ask various questions, such as the financial requirements of the procedure. The dentist will thoroughly assess your mouth to ensure that Invisalign is ideal for you. Once your suitability for this treatment is confirmed, the dentist does a 3D scan of your mouth. They will also take photos of your face, side profile, and your smile. Collectively, this information will be used to construct your treatment plan. With the involvement of advanced technology, the 3D scan will successfully map out your mouth and how to straighten your teeth progressively. It will detail every step of your treatment, showing the gradual changes that will occur. The advantage of this visual report is that it will keep you informed on what to expect as you continue to use the clear aligners. It will also show you how your teeth will look upon completion of treatment. After your treatment plan is created, and all pertinent information has been submitted, you can expect to receive your aligners soon. They will be formed and sent to your dental office for pick up. When you get your trays, your dentist will provide complete instructions on how to properly use the clear aligners. What is Invisalign and how does Invisalign work? Invisalign is an orthodontic apparatus that allows individuals to receive corrective treatment without exposed metal wires and brackets. If you are seeking a way to straighten your teeth, without barriers to your confidence and lifestyle, contact our team for information on Invisalign. Schedule your appointment to meet with any of our skilled dentists at one of our three conveniently located dental office locations within the Kansas City area, including Lee’s Summit / Independence, the Country Club Plaza and Downtown Kansas City. The gentle dentists and expert team at Thomas L. Anderson and Associates look forward to working with you to treat your dental emergency, achieve proper oral health and a beautiful smile that will last a lifetime. If you have any questions about your dental insurance benefits, please do not hesitate to contact us. We are happy to review your policy! Please give us a call today to schedule an appointment and become part of our dental family.